Sigma already makes the 20mm f/1.4, 24mm f/1.4, and 35mm f/1.4 Art lenses. Why not add another wide-angle, wide-aperture prime to the mix? The Sigma 28mm f/1.4 competes directly against lenses from Nikon and Zeiss with the same focal length and aperture, each announced not long ago (the Zeiss 28mm f/1.4 in March of 2016 and the Nikon version in May of 2017). Both of those lenses have exceptional performance – see our review of the Nikon 28mm – but Sigma’s recent track record of high-quality lenses suggests the new 28mm Art could compete at the same level, likely with a lower price as well. Although the Sigma 28mm f/1.4 Art’s price has not yet been announced, the Nikon version costs $2000 and the Zeiss 28mm f/1.4 Otus sits at a whopping $4990. 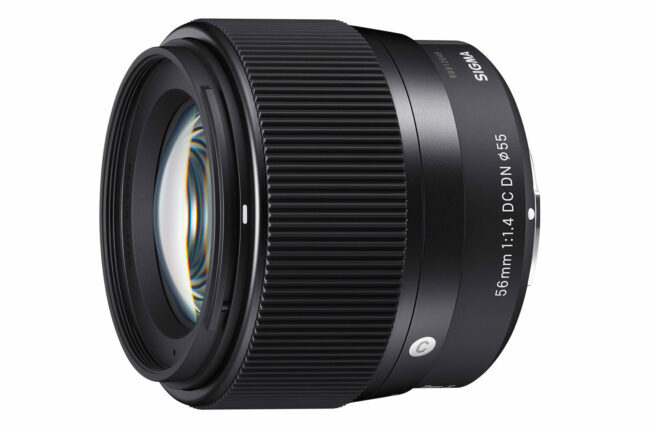 For comparison, Sigma’s 24mm f/1.4 costs $849, and their 35mm f/1.4 costs $899. 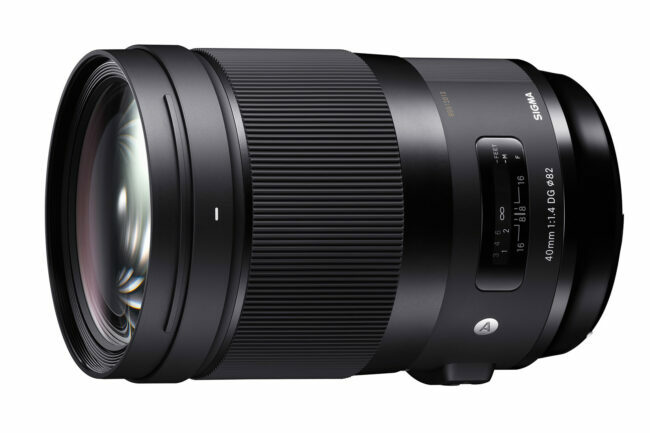 It doesn’t take a crystal ball to predict that this new Sigma lens also will be well-priced compared to its competition, which makes it a very interesting option on the market indeed. One of the more unusual lenses Sigma announced is the 40mm f/1.4 Art, based on their cine design, and one of just a handful of 40mm lenses on the market today. (It’s also one of only two 40mm f/1.4 photographic lenses ever, the other being the Voigtlander Nokton 40mm f/1.4 for Leica M rangefinder cameras). To make things even more interesting, this lens weighs more than the Sigma 28mm f/1.4, reversing the trend of “normal” lenses weighing less than their wider or longer counterparts. The 40mm f/1.4 Art has an 82mm filter thread, a 16 element/12 group construction, and six low dispersion glass elements (three FLD, three SLD). It weighs a whopping 1200 grams (2.65 pounds), making it one of the heaviest normal lenses ever made. Even the Zeiss 55mm f/1.4 Otus weighs “just” 970 grams (2.13 pounds). This new Sigma is not a lens for the minimalist photographer. It’s hard to deny that lenses in recent years have trended toward maximum performance and ultra-wide apertures, almost regardless of weight. Sigma arguably was one of the largest influences on that trend, and there is little doubt that this new 40mm f/1.4 Art will be a very high performing lens by the same token. But I have to wonder when photographers will start asking for smaller lenses instead – something like a 28mm f/2.8 that weighs just a couple hundred grams rather than a heavy 28mm f/1.4, or even a trend to pancake lenses like Canon’s 40mm f/2.8 instead of a 1200 gram monster like this 40mm f/1.4. Maybe the fact that so many camera manufacturers have stepped up their mirrorless investment will inspire some weight savings in new releases – although it’s not like Canon’s new 28-70mm f/2 or Nikon’s Z lens roadmap with several f/1.2 lenses seem to be heading in that direction. Maybe the market for small and light glass is, aside from occasional releases, nearing its end. 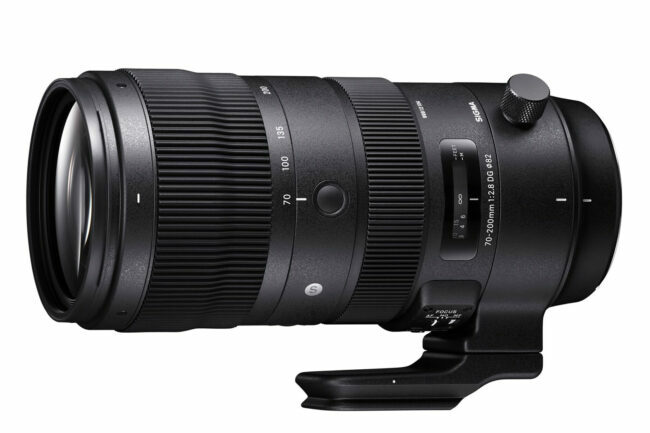 A long-awaited Sigma Sport lens is the 70-200mm f/2.8, perhaps the most classic telephoto of all. This is one area where Sigma has a lot of competition, with so many photographers already entrenched in their Nikon or Canon equivalent (or potentially the Tamron and older Sigma 70-200mm lenses). Autofocus performance is also a key requirement for those who buy this type of lens, and, rightly or wrongly, the perception is that name-brand lenses still have the edge over third-party options when critical performance is required. Nevertheless, this Sigma appears to be a promising offering. It includes compatibility with Sigma’s USB dock, very valuable for a zoom like this which can require different levels of autofocus micro-adjustment at different focal lengths. It has 24 elements in 22 groups, along with one SLD and nine FLD lens elements. It focuses down to 1.2 meters with a reproduction ratio of 1:5 (or 0.21× magnification). It has a removable Arca-Swiss compatible tripod plate, as well as weather sealing and a water-repellant front element. Once again, the Sigma is heavier than competing options: 1805 g (3.98 lb), compared to 1430 g (3.15 lb) for the newest Nikon and 1480 g (3.26 lb) for the newest Canon. Still, if the price is right and autofocus performance is up to the task, this lens will likely find its way into many photographers’ bags. Anyone remember the Sigma 50-500mm f/4-6.3 “Bigma” lens? It was a 10× zoom going all the way to 500mm, with a total weight of 1840 grams. It became a cult favorite for photographers seeking a budget-friendly telephoto zoom, but no one could deny that it was a big and heavy lens to carry around. This new 60-600mm f/4.5-6.3 is even heavier, totaling a remarkable 2700 g (5.95 lb) – almost a full kilogram more than the Bigma. We’ll have to call this one the “big Bigma” or the “really Bigma” in order to distinguish them, or something like that. At this point, I don’t even know. That’s not to say this lens is without an audience. If you need an extreme 10x zoom range – a one-size-fits-all telephoto for a safari or something similar – it can make sense. This lens is also the only one of Sigma’s announcements yesterday with a price we already know, selling for $1999 and shipping in late October. 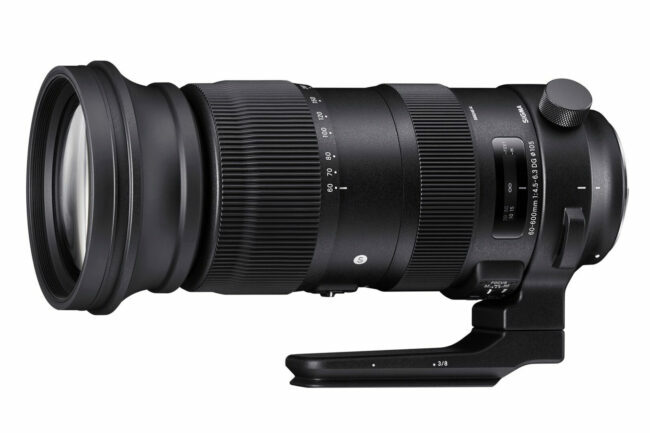 To me, its main competition is simply Sigma’s already available 150-600mm f/5-6.3 lens, which is more reasonable in both price and weight: $989 and 1.95 kg (4.3 lb). The Nikon 200-500mm f/5.6 and Tamron 150-600mm f/5-6.3 are also targeting a similar market (see our comparison between all three of those lenses), and, personally, I would pick one of these three instead of the new Sigma for most uses. With 25 elements in 19 groups, a reproduction ratio of 1:3.3 (magnification of 0.3×), and four low dispersion elements (1 SLD, 3 FLD), the features of the 60-600mm are nonetheless in line with some of Sigma’s best. If your particular photoshoot requires such a wide range of focal lengths and makes it difficult to swap lenses along the way, it’s one of the few on the market with the specs that will work for your needs. The last lens Sigma announced is specifically for crop-sensor mirrorless cameras, compatible with both Sony E mount and Micro Four-Thirds. 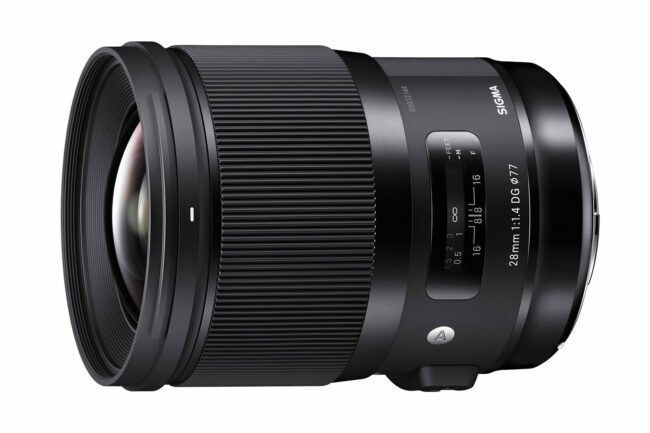 Unlike all the other lenses Sigma announced yesterday, this one is much more reasonable in size and weight, totaling just 280 grams (9.9 oz). Granted, it is meant for crop sensor cameras rather than full frame (and fell under Sigma’s “Contemporary” distinction rather than “Art”), so it didn’t have the same design considerations that the other f/1.4 lenses did. If you’re looking for a portrait lens to go with your crop-sensor camera, this one merits a long look. With ten elements in six groups, a Special Low Dispersion element, and weather sealing, the 56mm f/1.4 has a lot of promising features. It joins Sigma’s current 16mm f/1.4 and 30mm f/1.4 crop-sensor lenses to create an appealing trio of lightweight f/1.4 primes for the Sony E mount and Micro Four Thirds cameras. I think I could love the 1.4/40! The problem is, could I wear it? While I have the money to buy all of theses lenses, I won’t buy any of them because as you wrote their weight are not for the minimalist photographer. If their making theses lenses only for the professionals maybe they will find a market for them. I don’t understand they don’t look at exotic materials such as carbon fiber to reduce the weight. When you have to carry a camera with a few lenses for an entire day,you are looking more and more to alternative solutions such as Fuji X- serie of cameras and lenses. I wish Sigma goo luck with their new lenses….. It looks like a good lens, although it’s an f/2 – to my knowledge, this Sigma and the Voigtlander are the only two 40mm f/1.4 lenses ever. There definitely are other 40mm lenses though, including one from Tamron, a Canon pancake, a macro lens for Nikon DX, and so on.